Welcome to Laith Family Dentistry. 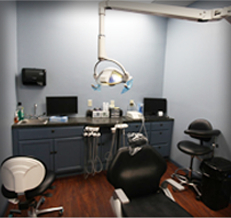 We offer families from San Antonio, Helotes, and surrounding areas a unique dental experience. From the moment you open our front doors, we do everything possible to make you smile. 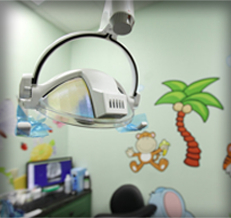 As a family dental practice, we’re committed to offering ideal dentistry services for patients aged 1 to 100. This includes special treatment rooms designed just for kids, extended evening appointments every Wednesday, and block scheduling for families. Our mission is for every member of your family to receive the lifelong benefits of affordable, high quality dental care. We are dedicated to offering patients exceptional oral health care that fits their schedule, budget, and lifestyle. That starts with comfortable facilities that put patients of all ages at ease from the moment they arrive. Our skilled dentists and team offer patients gentle, personalized care that makes every dental visit a treat. 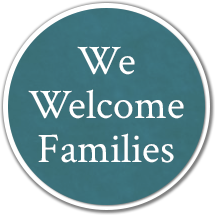 We offer a variety of hours for families including evening appointments until 6 pm on Wednesdays and block scheduling for family appointments. Don’t waste time struggling to fit multiple dental appointments at two or more practices into your schedule. Simply call our friendly administrative team to schedule convenient appointments for the whole family. 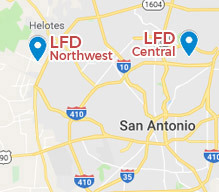 Our North San Antonio dental practice offers ample parking, accessible entrances and facilities, and state-of-the-art technology. We are dedicated to making dental care affordable, and truly believe in providing the whole family the dental care they need to keep natural, healthy smiles for life, and one we make that possible for families is by working closely with many of the major insurance providers as in-network providers. 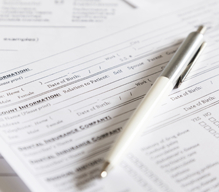 Even if we’re not in network for your benefit plan, we’re happy to process and file insurance claims that maximize your coverage. We also work with patients to establish affordable financing plans prior to treatment, so patients never need to worry about paying for treatment. Dental Checkups & Cleanings – The American Dental Association recommends patients of all ages visit the dentist two times each year for a dental checkup and professional teeth cleaning. Our team offers superior preventive care including tooth-by-tooth dental examination, periodontal charting, high definition digital x-rays, and screenings for bruxism (teeth grinding/clenching), temporomandibular joint (TMJ) disorder, and oral cancer. Root Canal Therapy – Patients who experience infection of the interior, pulp, layer of teeth know how painful these root canal infections can be. Your San Antonio dentist and team at Laith Family Dentistry offer pain relieving root canal therapy to remove infection and restore oral health quickly, comfortably, and effectively. 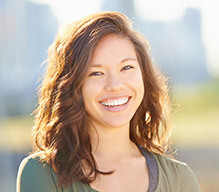 Six Month Smiles (Invisible Braces) – If you’ve always wanted to correct your crooked or unevenly spaced teeth but have avoided traditional, metallic braces, the Six Month Smiles orthodontic system may be right for you. Six Month Smiles uses clear braces to correct the alignment of the teeth most visible when you smile. This makes treatment fast and painless. 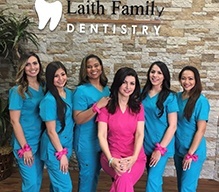 If you’re new to San Antonio or looking for a dentist to provide outstanding care for the whole family, contact the team at Laith Family Dentistry today. We’re dedicated to helping patients from San Antonio, Helotes, and surrounding communities achieve and maintain their healthiest smiles. Starting with the naming of our practice after Dr. Kadamani’s son, our entire team is committed to taking care of your family. Our education efforts and treatment plans are developed as if you are a member of our family, and we treat each patient the same way. Expanded office hours and family block scheduling also make it easier for you to fit dental appointments into your busy schedule. We welcome you to become a part of the Laith Dentistry Family.